We’re not talking about booze, here. When you step foot into our Thai restaurant, you and your nose (and soon your tastebuds) are sure to be tempted and tantalized by the smells being emitted from our creative kitchen. With seductive scents of slow-cooking meat that’s been marinated in rich sauces and fresh vegetables adding lively notes to each dish, you can rest assured that you’ll have a tough time choosing which dish (or dishes) to order from our menu. 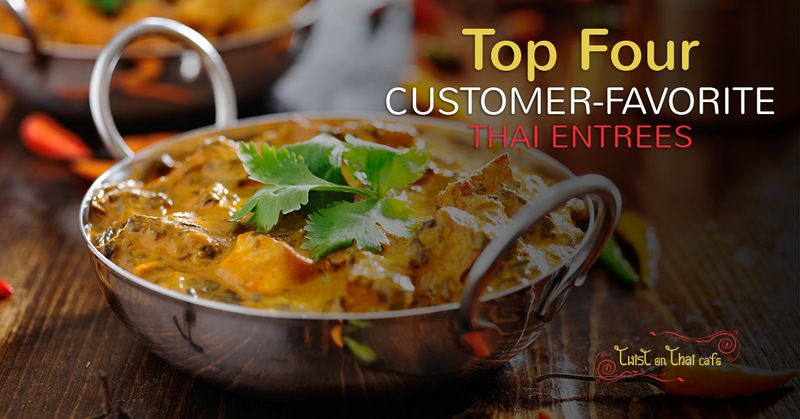 That’s why we’d like to take a moment to give you some insight on which entrees are most popular with our customers. Take a peek below to start tempting your tastebuds. Click Here to View Our Thai Menu! This unique Thai dish is bursting with flavor. With a healthy dose of stir-fried sweet Thai basil that gently coats a lively dish of onions, bell peppers, mushrooms, carrots and broccoli, you’ll have a hard time deciding on anything else once you catch a whiff of this dish being taken to tables surrounding you. Complete with a delicate sauce that compliments each vegetable in the dish, you’ll be sure to enjoy this delightful entree whether you choose vegetables, tofu, chicken, beef or shrimp. One of our most popular dishes, this Thai entree offers those who are fortunate enough to taste it a taste bud experience that’s hard to rival. We start with stir-friends cashew nuts to give the dish a rich, fatty base. Then we gently saute a generous helping of onions, scallions, carrots, broccoli, and bell peppers to create a flavor-rich dish that can be finished off with either vegetables and tofu, chicken, beef, or shrimp is a sweet chili sauce. It’s hard to beat perfectly prepared Jasmine rice, which is why we chose Jasmine over other rice varieties for this flavorful dish. But rice can’t carry a dish on its own; keeping your perfectly cooked Jasmine rice company will be a generous helping of flavor-rich vegetables, complete with onions, bell peppers, and mushrooms. Surrounding these vegetables is a lively dose of sweet Thai basil that’s bathed in a spicy chili garlic sauce. Finished off with a scrambled egg, you’ll love this dish whether you choose vegetables and tofu, chicken, beef, shrimp, or sweet Thai sausage. Not all pad Thai dishes are created equal. 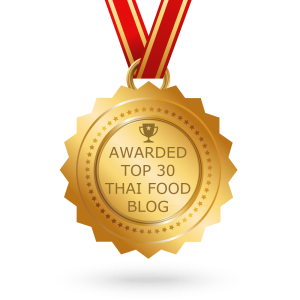 We like to believe (along with a good many of our regular customers) that our Royal Pad Thai is the best in Hopatcong. We start with a hefty helping of perfectly prepared stir-fried rice noodles that are adorned with chopped shallot, diced turnip, scrambled egg, scallion, and bean sprouts. Top yours off with either vegetables and tofu, chicken, beef, or shrimp. No matter which Thai entree you choose, you’ll be sure to enjoy your time here at Twist on Thai. Come in and see us today.